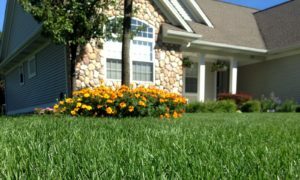 For lawn fertilizing, weed control, tree and shrub care, landscape pest control and more, owners of residential and commercial property call Greenlawn Landscape Management for professional and customized service. Greenlawn serves the greater St. Clair County, Michigan, area — from southern Sanilac County, through Macomb County, even into the Grosse Pointe area. Our clients include homeowners, restaurants, banks, car dealerships, office buildings, retirement homes, municipal parks, and so many more. 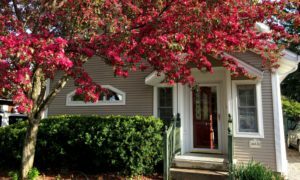 Some property owners have relied on Greenlawn for years. Many say they appreciate that we are a Michigan company (since 1969). Indeed, our knowledge of local soils, weather patterns, and micro climates influenced by Lake Huron, the St. Clair River and Lake St. Clair influences our approach to caring for your landscape. Greenlawn supports the health of your landscape with services such as aeration and power raking. We support the health of trees, shrubs and ornamentals — arguably your largest investment — with timely feeding and disease prevention measures. We help you control damaging lawn and garden pests, such as grubs. And mosquitoes — a terrible nuisance in Michigan some years, not to mention a risk for the transmission of disease? Call Greenlawn for mosquito control, too. 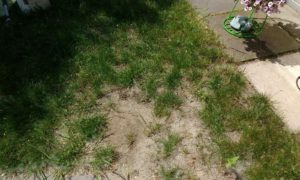 People in the Blue Water Area of Southeast Michigan who want a beautiful, problem-free landscape rely on the experts at Greenlawn Landscape Management. Find out what we can do for you.